According to The Myth of Lost simulation theory, the passengers of Flight 815 never really took off from that plane. But let’s say that they did. Couldn’t it be possible that the flight was specifically arranged to contain specific passengers and landed in the location where the simulation program existed? Once there, the passengers unloaded and were hooked into the simulation where there minds were reprogrammed. As for the plane, it could’ve been reloaded with people who were already dead—perhaps to eliminate the evidence of the failed DHARMA experiments, or to keep the public for asking questions as the experiments proceeded. 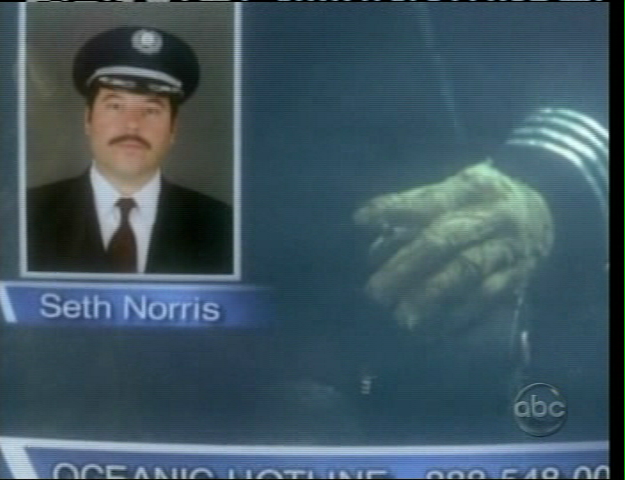 Just as I was thinking about this switcheroo theory (which I alluded to in my book by referencing the movie Millennium), a flashback in Lost featured a man calling Oceanic Airlines to tell them that the corpse of the pilot they showed on TV was not, in fact, really the pilot after all. And that the man who called in knew this because he was a pilot who was supposed to fly the plane the day it crashed. Something fishy is definitely going on. 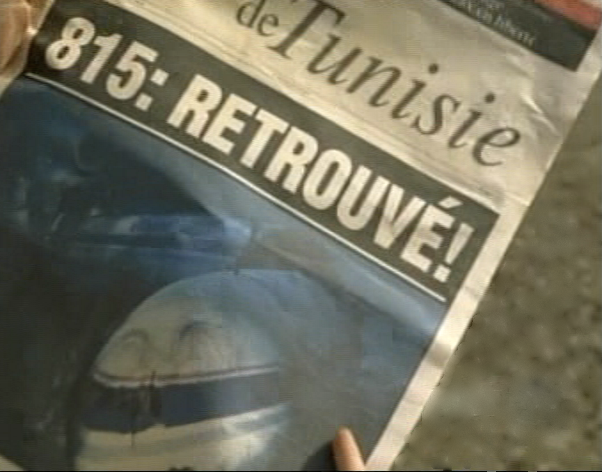 As further proof of this fishiness, in the next flashback, we see Charlotte Lewis, an archeologist, looking at a Tunisian paper (presumably, in Tunisia—between Algeria and Libya in N. Africa) about the found wreckage of the 815 Flight. 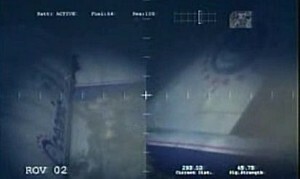 When asked by a companion how many languages she has to read about the found flight before she believes it, she coyly replies, “all of them,” suggesting that she also doesn’t believe that the wreckage found is legitimate. This same woman soon uncovers the fossil of what she claims to be a polar bear in the middle of the desert. Even more interesting, the remains of a DHARMA collar is found near its bones. So the question is, is the simulation theory wrong? Could this desert spot be the future of the island, and the polar bear is the remains of the one that had died there, insinuating that the island exists in the past? Or, maybe the island experiments allowed DHARMA to do experiments off the island. If this were the case, then the simulation theory would still work. DHARMA’s experiments within the tropical island simulation could’ve led to similar experiments in the real world, enabling polar bears to be raised in the harsh desert climate. Similarly, DHARMA could’ve done experiments with teleportation and worm holes in the real world (learned from the simulation), causing a polar bear to be zapped to the desert in Tunasia. The other possibility of course, is that Charlotte was in a part of the simulation when she discovered the polar bear remains. Only time will tell, but the simulation theory can still work. A few other points of interest. First, Miles Straume is a man who uses his psychic powers in conjunction with some strange contraption to speak with the dead. He may have gotten the gizmo, as well as his gifts, from DHARMA. 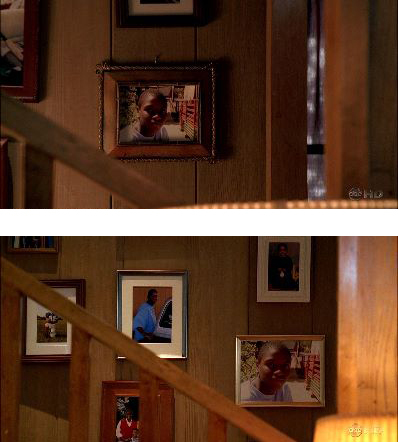 What’s intriguing about this scene is that when Miles comes back downstairs after communicating with the spirits, the pictures on the wall are not only different but in different frames. I don’t believe this is a continuity error. I think it’s more of a hint that this and other scenes in the so-called “real-world” may actually be happening in a dream-like realm not unlike the simulation. The other possibility is that there are two alternate realities occurring simultaneously with only slight differences between them at certain points. 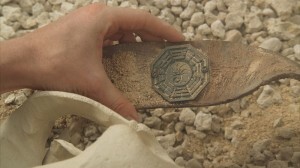 Perhaps the two dimensions split depending on whether Oceanic 815 crashed or not. This is a quantum physics concept knows as superposition, where all possible states exist simultaneously, but we only experience the ones we notice. Maybe time is in some kind of holding pattern until the glitch of the island is rectified. I like this theory, but feel it would involve an explanation that would be pretty complex for primetime TV. 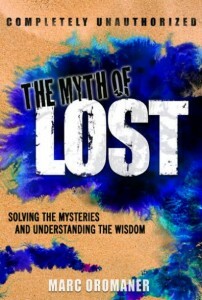 But hey, Lost has broken many rules so far, so who knows how far it’ll go? An interesting clue that was presented rather quickly in the episode was a picture of Ben that Miles had. 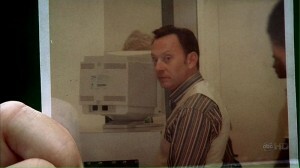 In the picture, an adult Ben is nicely dressed and the back of a large computer monitor could be seen behind him. Everything around him was white, almost as if he were in a hospital or laboratory—or, perhaps the secret location of where the simulation program runs from. At the very least, we can see that Ben has gotten off the island, once again, proving him a liar. At the end of the episode, Ben says that he has a man on the freighter who told him that the Freighter Folk would be coming. 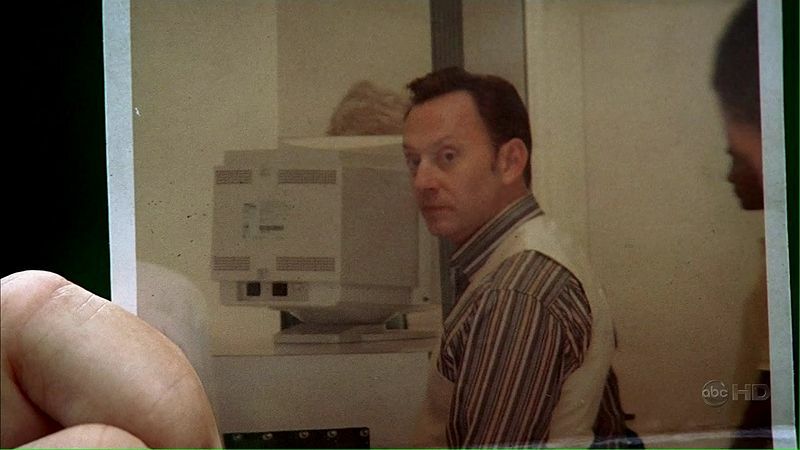 Could this man be Michael and/or Walt? Could he have given Michael the coordinates to rendezvous with the freighter in hopes he could spy for him? If so, perhaps even the freighter is part of the simulation, and Michael was given a task in order to redeem himself after killing two people. That would make sense to me, because I can’t see how Michael could be ready for the real world after killing someone. He definitely seems to need more rehabilitation before being ready to raise his son in the real world.